Better watch out with those Skyrim mods. Better watch out with those Skyrim mods. 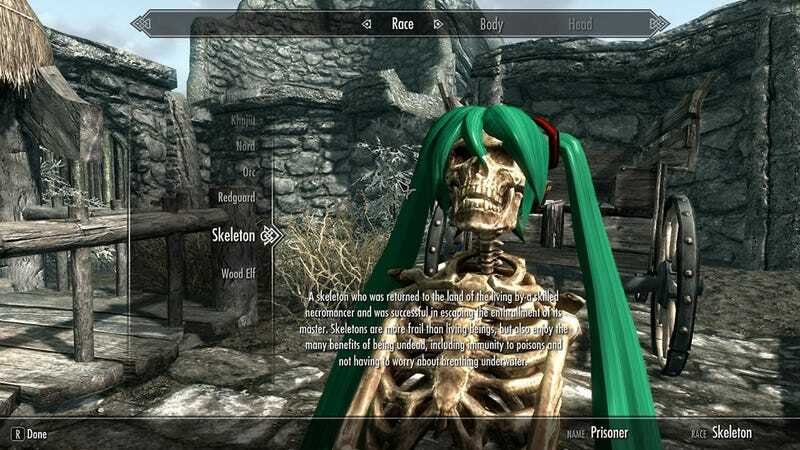 If you're not careful you could end up with a glitched skeleton with Hatsune Miku hair. On the other hand, this opens up a whole new category in the catalog of terrifying, modded Dovakhiins.